Not the most common species in our waters here in the Great White North but I have caught a few over the years. 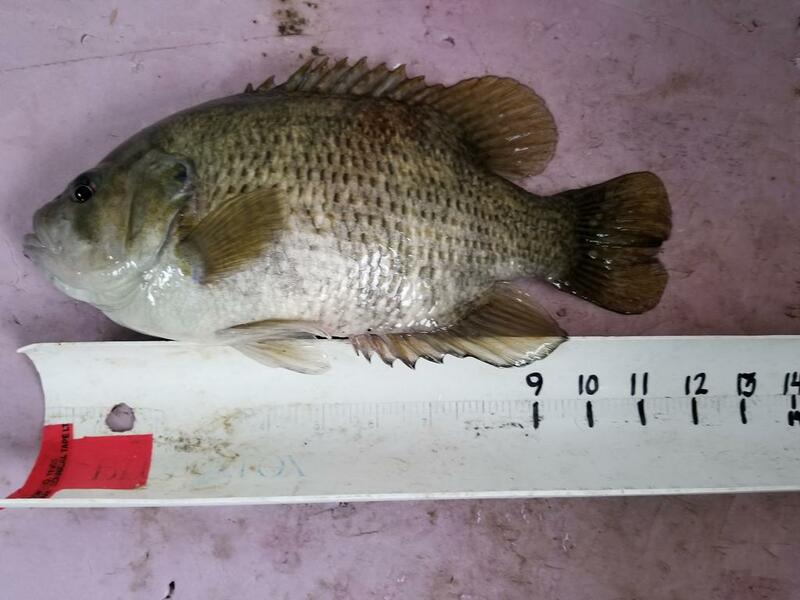 In Manitoba the minimum length to be considered a 'Master Angler' class rock bass is 10 inches. At 11 1/2 inches this is my personal best. Awesome! They are tanky when they hit 10+ inches. I sometimes catch them targeting walleye spots during night fishing. I would love to catch a 14" one again. What lake were you fishing, if you don't mind my asking? I am always looking to target new species. I’ve caught plenty of rock bass through the years but never kept a single one, always heard there not the best tasting to eat...do most of you keep them or turn them back? Walleye is fairly plentiful and the primary target here. Pretty common in Southern Michigan. Fun and easy to catch. They keep the kids interested.